1. 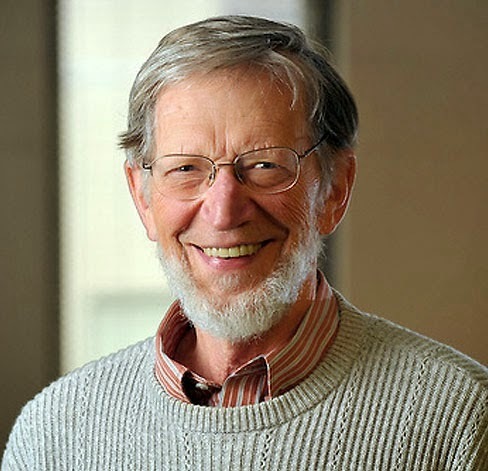 Alvin Plantinga, "Christian Life Partly Lived," in Philosophers Who Believe, ed. Kelly James Clark (Downers Grove, Ill.: Intervarsity Press, 1993), p. 69 as quoted by Alex McLellan in A Jigsaw Guide to Making Sense of the World. This video features theistic evolutionist Karl Giberson and Intelligent Design theorist Dr. Stephen Meyer debated the topic, "Should Christians Embrace Darwin?" Useful commentary can be found here and here. If you are a parent and were unable to attend this live event Stand to Reason hosted this past Thursday with Brett Kunkle you can watch it here. 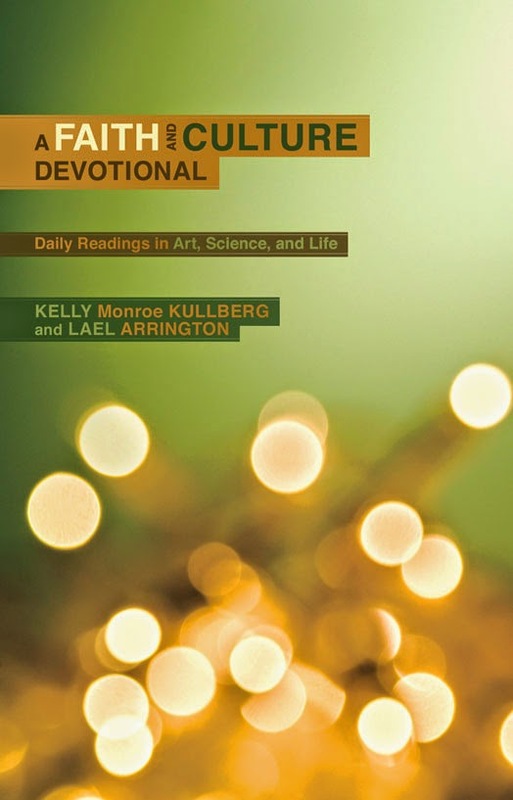 Kunkle suggested many resources to aide in this most important task facing Christian parents and they are all listed at the link. 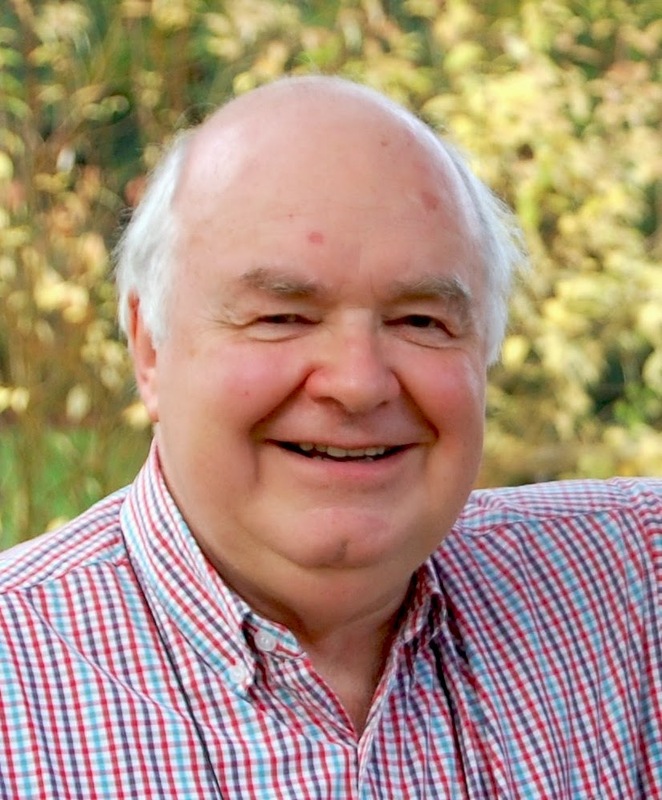 I had the privilege of attending the Pensmore Dialogues at Patrick Henry College on April, 4 and hearing Dr. John Lennox speak on the topic “Has Science Buried God?”, a common claim of skeptics today. What follows is a brief summary of his lecture. Those who would argue that we have no more need of God because of science may be somewhat confused regarding the matter. The reason for this is that there are several areas of confusion about the subject. First, there is the charge that the conflict is between science and religion. But is that where the conflict really lies? No. This is the first area in which there is confusion. The conflict is not between science and religion, but actually about the nature of ultimate reality. On the one side is the worldview of materialism - the universe is all there is, was or will be. On the other is theism - there is more to reality than mass/energy. The reason the conflict is not between science and religion is because science grew out of a religious cultural foundation – medieval Christianity. The early fathers of science believed they would find law in nature because there was order in the universe, the result of creation by a natural Lawgiver. There are those that argue that belief in God is a delusion, like our childhood beliefs in Santa Claus, the tooth fairy, etc. But is that really the case? How many people have come to believe in Santa Claus when they were adults? But how many millions have come to believe in God as adults. There are also arguments from psychology. Religious belief is the result of a delusion that comes from a wish fulfillment for a father figure. But can’t that argument be reversed and applied to atheism as well? Is it possible that atheism is the result of a delusion that comes from a wish fulfillment that one does not want to have to answer to any ultimate authority? Second, there is confusion over the nature and identity of God. Some argue with the school yard rhetoric akin to “my dad can beat up your dad” by saying “we’re all atheists, I just lack belief in one god more than you.” For others, the central dilemma comes down to “who created the creator?” But upon examination, we find that the ancient gods are profoundly different from the God of theism. The ancient gods were the product of some activity within the universe. But the understanding of the Christian God, as revealed in the Bible, is that He is not a created being, He is a necessary, self-existent being. Everything - all matter, energy and space - is contingent on His existence. He is not a god of the gaps, a place holder for something we cannot explain. He is in fact the God of both what we do understand and what we do not understand. He is the God of the whole show. Third, there is confusion about the nature of scientific explanation. Some would say that science is the only way to determine what is true. But this is an example of a statement that fails its own test. If it is true, then it had to be determined scientifically. But how can it be scientifically determined that science is necessary to determine what is true? And what do we mean by the “nature” of scientific explanation? Just exactly how does science explain gravity? Well, it does a great job of mathematically describing the effects of gravity and how objects behave when subjected to gravitational forces. But what exactly is gravity? What about energy? We can measure it, quantify it, predict it, describe how it’s created and used, but what exactly is energy? We know they are “forces”, but no one knows what they are. We must remember that there is a difference between explanations of function and explanations of purpose. Even school children know the difference when asked to choose between automotive engineering principles and the workings of an internal combustion engine or Henry Ford when explaining the existence of a Model T motor car. This confusion also effects the “who created the creator” question, which is a complex question, that is a question that has hidden assumptions. In this case, the assumption is that the creator is himself a created being. A classic example of this type of confusion is Stephen Hawking’s statement, ‘Because there is a law of gravity, the universe can and will create itself out of nothing.” For one thing, to say there is something, a law of gravity, is in direct contradiction to nothing. The law of gravity is not no-thing, nor is a quantum vacuum. Likewise, to say that x creates x, presupposes the existence of x to explain the creation of x. The laws of nature depend on the existence of the nature they describe in order to explain their own existence. This all leads us to the logical conclusion that nonsense is still nonsense, even if spoken by the world’s brightest scientists. Finally, there is confusion over the nature of faith. Every scientist has a faith that is essential to their work in science. That faith is trust based on the evidence. Scientists have faith in the regularities of nature and the applicability of mathematics. There are those who are working hard to redefine faith as believing in something for which there is no evidence. But this is simply a modern rhetorical ploy. They will also point to Jesus’ statement to Thomas in the Gospel of John as evidence that belief is really a blind faith. Because he saw Jesus, he believed. But blessed are those who have not seen, yet have believed. You see, there it is, blind faith. There are two problems with this. First, seeing is only one type of evidence and second, read the next few verses. The whole book of John is written to be evidence. Ultimately, the issue can be boiled down to the question about what is at the root of our being. For the atheist, mass/energy is primary and mind is a derivative of that. For the theist, mind is primary and mass/energy derives its existence from mind. Two Biblical statements demonstrate this relationship: “In the beginning was the Word (the Logos, purpose, meaning)” and “…and God said…” God has given us the immeasurable dignity of being created in His image, with the curiosity and intellect to ask questions and explore creation. Perhaps it is time to begin life’s biggest adventure: getting to know the Creator revealed to us through the Son. In this featured article philosopher, speaker and author Dr. Paul Copan considers the view of utilitarianism. As Copan explains, utilitarianism "is a consequence-based ethic that looks at what will bring the “greatest happiness” to the most people. Whatever brings happiness is “good”; and, the more happiness, the better it is. In this ethical view, the outcome or consequences are more important than the means of getting there." This article will equip the follower of Christ to intelligently respond to this type of ethical theory. "when we speak of 'abandonment' – a favorite word of Heidegger – we only mean to say that God does not exist, and that it is necessary to draw the consequences of his absence right to the end. The existentialist is strongly opposed to a certain type of secular moralism which seeks to suppress God at the least possible expense. Towards 1880, when the French professors endeavoured to formulate a secular morality, they said … nothing will be changed if God does not exist; we shall rediscover the same norms of honesty, progress and humanity, and we shall have disposed of God as an out-of-date hypothesis which will die away quietly of itself. The existentialist, on the contrary, finds it extremely embarrassing that God does not exist, for there disappears with Him all possibility of finding values in an intelligible heaven. There can no longer be any good a priori, since there is no infinite and perfect consciousness to think it. It is nowhere written that 'the good' exists, that one must be honest or must not lie, since we are now upon the plane where there are only men. Dostoevsky once wrote: 'If God did not exist, everything would be permitted'; and that, for existentialism, is the starting point. Everything is indeed permitted if God does not exist, and man is in consequence forlorn, for he cannot find anything to depend upon either within or outside himself." "The central question about moral and ethical principles concerns their ontological foundation. If they are neither derived from God nor anchored in some transcendent ground, they are purely ephemeral." "If there is no single moral authority [i.e. no God] we have to in some sense 'create' values for ourselves ... [and] that means that moral claims are not true or false… you may disagree with me but you cannot say I have made a factual error." Apart from God there exists nothing to ground or anchor (moral ontology) objective moral truths. That should be the main point we strive to drive home in arguing for the truth of premise 1. However, I believe it is also helpful to point out that atheists have traditionally agreed. For readers who may be new to the moral argument, I teach a simpler version here. 1. Peter S. Williams, Can Moral Objectivism Do Without God?, 2011. 2. Joel Marks, "An Amoral Manifesto I," Philosophy Now 80 (August/September 2010): 30 as quoted by Abdu H. Murray in Grand Central Question. 1. "God has put you (or something) on my heart. / God told me." 2. "Be 'born again.' / Have a spiritual rebirth." 3. "You need to come to repentance. / Experience a conversion." 4. "Deal with your sin." 5. "Invite Jesus into your heart." 6. "Make Jesus the Lord of your life." 9. "Be washed by the blood of the Lamb." 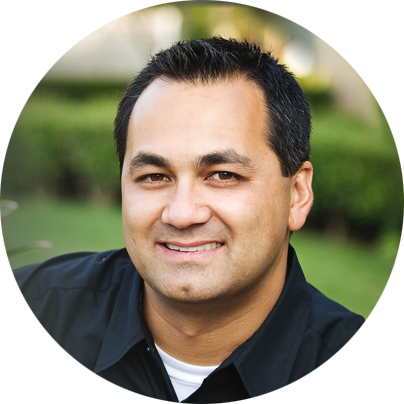 Brett Kunkle of Stand to Reason will be hosting a live training event this Thursday from 7:00 - 8:00 P.M. Pacific Time. There are several ways to participate in this interactive event. Learn more here. This event is highly recommended as Kunkle has much experience not only from being involved in youth ministry but even more so from raising his own five children. In this lecture given at Columbia University on September 11, 2012, Dr. John Lennox discusses the problem of evil and suffering. He admits that it the most difficult question to answer and that there are no simplistic answers. Cancer looks different in the eyes of the oncologist than it does to the patient who has been informed they have only months to live. Evil and suffering must be dealt with on both the intellectual side using reason and the existential side with pastoral care and concern. In the end the pain and suffering we are most concerned with is our own. When confronted with the problem, we must deal with the “why” question. But this is a right brain question, it cannot be broken down, analyzed and rationalized. Yet answering “why” helps us makes sense of how evil and suffering fits into a worldview and also provides perspective and hope. If my worldiew cannot meet the objections and difficulties, then it is not worth believing. Some skeptics argue that there is too much suffering, so there can be no God. If we grant that, then the problem evaporates and there is nothing we can call evil and suffering. But does this really solve the problem? Richard Dawkin’s would have us believe that there is no such thing as right or wrong or justice or evil, that we are just machines for reproducing DNA and we “dance to its music”. But were people like Hitler, Stalin, Mao, Pol Pot and other assorted mass murderers and rapists just “dancing to their DNA”? Yet Dawkins is outraged by evil in spite of his philosophy. His outrage presupposes an objective standard and he expects others to agree. If matter/energy is all there is, there is no transcendent, no God, how can there be such a standard? If there is no good and no evil, the concept of morality disappears and moral outrage is absurd. But we find ourselves to be moral beings, outraged at evil and suffering. The existence of objective moral standards is consistent with the existence of God and very difficult to explain without Him. But the existence of God gives rise to the problem. Isn’t it obvious that God is part of the problem, not the solution? What of all the evil and acts of violence committed by those who call themselves Christians? How do I respond? I am completely and utterly ashamed of it. I am ashamed that the name of Jesus Christ has ever been associated with violence. Those who commit violence in the name of Christ are not obeying Christ, they are disobeying everything he taught. John Lennon would have us “Imagine” a world with no religion, no heaven, no hell. But John Lennox asks us to “Imagine” a world with no Taliban, no Northern Ireland, no 9/11, no Hitler, no Stalin, no Mao, no Pol Pot. Then there is the problem of justice – we all feel we deserve to get justice. If atheism is true, then death is the end and there is no ultimate justice. Millions never have and never will get justice. The promised utopia has never come. How can you believe in justice when the vast majority of humanity will never get it? For the Christian, justice will be served, but it is not the justice of an angry God. The only thing that gets God angry is that which destroys life – sin. God could have created us without the capacity for moral evil. Yet He has created creatures without that capacity, we call them animals. We have created things without that capacity, we call them robots. (A side note, for an interesting exploration of this, see Star Trek the Next Generation episode “In Theory”) God created us with free will and the ability to choose and in doing that God took a risk. This doesn’t apply to natural evil. Earthquakes are the result of techtonic plate activity. But that is essential to life. It becomes an evil to us when we build inadequate structures in areas susceptible to them. Could God have made electricity that doesn’t electrocute? Fire that doesn’t burn? A world that can sustain life without techtonic plate activity, hurricanes, bacteria, . . .? What about other “earthquakes”, like heart attacks, cancer, etc.? Dr. Lennox and I admit that we have no ultimate answer. Then there is another question: We see glimpses of the good and beautiful even in tragedies, but what of the preventable evil and suffering? We can argue about what a good God could, would, should or might have done. If we grant the world is like this, with good and evil, pain and beauty, hatred and love, is there any evidence anywhere that there is a God who can be trusted with it? Has God made provision big enough with the fact that humans have gone their own way? This brings us back to justice. There must be a judgment, and I will have to face it. Atheism has no way out. But how does Christianity face it? At the cross – the heart of Christianity. If Jesus is God, and He was crucified for that claim, then what is God doing on a cross? The answer to this question is the most profound answer of all – God suffered with us. He has not remained distant but He has become a part of it. He suffered for me, who made a mess of my own life. There are some who cannot live with the mess, they have no way out, there is no meaning, so they commit suicide. But there is a way out, a source of meaning. The death of Christ is not the end, He rose from the dead. If I could see what God has done with those who have suffered, instead of questioning, I’d probably bow my head and worship. God knows how to compensate. To watch the video of this lecture, go here. Do you agree with Ruse? What do you think the best explanation of consciousness is? Share below in the comments! As quoted by Lee Strobel, The Case for the Creator, p. 247. This debate took place in Randers, Denmark and was between Christian apologist, speaker and author Dr. Frank Turek and Dennis Normark who is an anthropologist, author and one of Denmark's leading atheists. This was one of the more entertaining debates I've watched in awhile and both men presented their case with conviction, but respect for one another. During the Q and A I wished I could pull up a chair and chat with both gentlemen. Turek did a good job presenting evidence for his position while Normark made some interesting assertions, but in my opinion failed to sustain them with good argument. Further, he clearly did not understand the moral argument. Let us know what you think! Who won? Why so? In this featured article, gotQuestions.org (a young-earth ministry) offers a very fair assessment of the "Big Bang" evidence. Prior to the 20th Century, it was not clear if the universe ever had a beginning. Had it always existed? No one knew. It was a matter of faith. Then a succession of discoveries throughout the 20th Century showed beyond a reasonable doubt that the universe did have a beginning. It wasn't always here. First, Einstein's Theory of General Relativity, published in 1916, suggested that the universe had not always existed. Unsettled by the implications of his own theory, however, Einstein added a “cosmological constant” to make his equations support the possibility of a static (and therefore eternal) universe. Then the works of Georges Lemaître and Edwin Hubble in the 1920s demonstrated that the universe is expanding and that Einstein's cosmological constant was a mistake. This left a lot of astrophysicists very unhappy. Many felt that Lemaître, a Roman Catholic priest, was trying to inject religion into physics by suggesting that the universe had a beginning. Over the next several decades, physicists tried to salvage the eternality of the universe by proposing everything from the Milne model (1935) to the steady state theory (1948). But with the 1964 discovery of cosmic microwave background radiation—predicted by Big Bang theorists in the 1940s—the Big Bang theory became the preeminent cosmological model. The question was no longer, did the universe have a beginning? The question became, how did it happen? As more and more astrophysicists focused their attention on what happened in the first few moments, months and years of the universe, some Christians became upset that the new theoretical models didn't match up with their interpretation of Genesis. Just as many astrophysicists felt that the expanding universe theory was a ploy to inject religion into science, many Christians have come to feel that the Big Bang is an effort to undermine the biblical account of creation. Other Christians, however, feel that the Big Bang is consistent with the Bible’s account and welcome such compelling evidence for the creation of the universe. Keep in mind that the Big Bang wasn't a sudden explosion of energy in some empty part of space at some distant moment in time. According to the theory, all space, time and energy came into existence together in that “bang.” Before the Big Bang, there was no time. There was no space. Then, suddenly, an exceedingly dense, incredibly hot, infinitesimal ball of something – everything – appeared somewhere, somehow for reasons unknown and began to expand rapidly with our whole world inside of it. It is hard not to see the evidence for the Big Bang as a stunning example of where science and theology intersect. Astrophysicist Dr. Robert Jastrow phrased it this way in his book God and the Astronomers(New York, W.W. Norton, 1978, p. 116): “For the scientist who has lived by his faith in the power of reason, the story ends like a bad dream. He has scaled the mountains of ignorance; he is about to conquer the highest peak; as he pulls himself over the final rock, he is greeted by a band of theologians who have been sitting there for centuries.” Why? Because, as Jastrow explained in a subsequent interview, “Astronomers now find they have painted themselves into a corner because they have proven, by their own methods, that the world began abruptly in an act of creation to which you can trace the seeds of every star, every planet, every living thing in this cosmos and on the earth. . . .That there are what I or anyone would call supernatural forces at work is now, I think, a scientifically proven fact” (“A Scientist Caught Between Two Faiths: Interview with Robert Jastrow,”Christianity Today, August 6, 1982, pp. 15, 18). If Christians are to have objections to the Big Bang theory, it should only be in the atheistic presuppositions that often go along with the theory. The idea itself, that the universe came into existence due to an explosion, is not necessarily incompatible with the biblical creation account. As one Christian theologian has stated, "I am not necessarily opposed to the Big Bang theory. Rather, I know who banged it." What about you? Do you believe the "Big Bang" is evidence for God's existence? Why or why not? To learn more about the evidence for God from cosmology, go here. And I encourage you to follow J. Warner Wallace's example here- don't "obsess" over the Genesis debate! This is a talk offered by The Veritas Forum to equip you to have a productive dialogue with your neighbors. The speakers are Ravi Zacharias and former Muslim Nabeel Qureshi of Ravi Zacharias International Ministries. For more from Mary Jo Sharp, go here. ﻿J. Warner Wallace blogged about a question that he has found to be very helpful in initiating a discussion on spiritual matters. It is a question he picked up from James Boccardo's book Unsilenced. 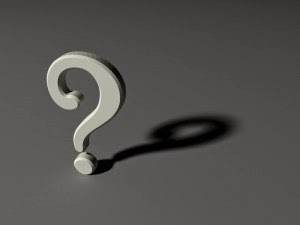 Wallace considers this question the most essential evangelistic question to ask: What do you think happens when we die? 1. It is diagnostic. The question will very quickly help you to understand the worldview of the person you are talking to. 2. It is disarming. Many people are willing to talk about this question because many people have given thought to it. 3. It is directed. It provides the foundation for talking about the human condition and the Gospel which provides the answer to the human condition. 1. Either the Bible is the Word of God or it is not. 2. If the Bible is the Word of God, the Qur’an is not. 3. 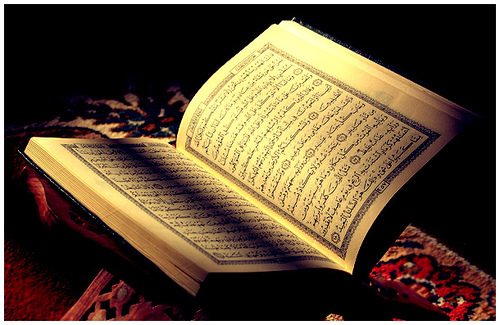 If the Bible is not the Word of God, the Qur’an is not. 4. Therefore, the Qur’an is not the Word of God. For those wanting to know what makes a good argument, go here. "...the argument developed above represents a formidable challenge to the Islamic religion, and I challenge any Muslim to show me where I have erred. In order to maintain his Islamic faith, a Muslim must reject one or more of the Premises of the syllogism given at the start of this article. If he cannot do so, the conclusion follows necessarily and inescapably." 1. Clarify the issue. It boils down to the question, what is the unborn? If the unborn are members of the human family then killing them for the benefit of others is morally wrong. On the other hand if they are not a member of the human family then killing them for any reason requires no more justification than having a tooth pulled. 2. Defend your pro-life position with science and philosophy. Embryology has confirmed that at conception the zygote is the beginning of a new human life. Philosophy tells us that there is no morally significant difference between the embryo you once were and the adult you are now. This is where the acronym SLED is helpful. The factors of size, level of development, environment, and degree of dependency cannot allow us to say that as an embryo you had no rights but now you do. 3. Challenge your listeners to be intellectually honest. This can be done by asking tough questions. You can read the article in full here. LTI has plenty of other excellent resources to aid in graciously defending the pro-life position. 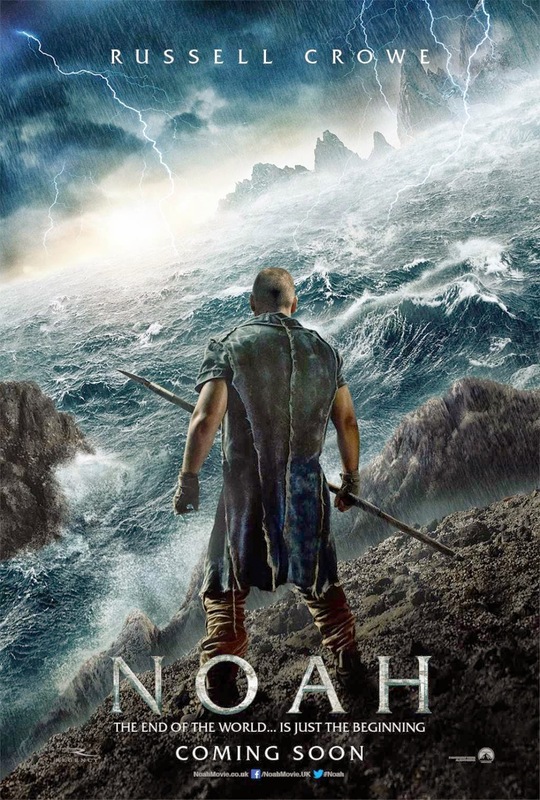 I haven't been able to see Darren Aronofsky's Noah film yet, but after a friend sent me this article and I saw Amy Hall at Stand to Reason featured it here, I thought it was worth checking out. Dr. Brian Mattson is the Senior Scholar of Public Theology for the Center for Cultural Leadership. In his article entitled Sympathy for the Devil he contents that Aronofsky did not use the biblical text at all to make his movie. Mattson contends that Aronofsky's film was based upon Kabbalah and Gnostic sources. You read the article here and decide for yourself. What do you think?